'Most Brooklyn-esque!' New York Times. 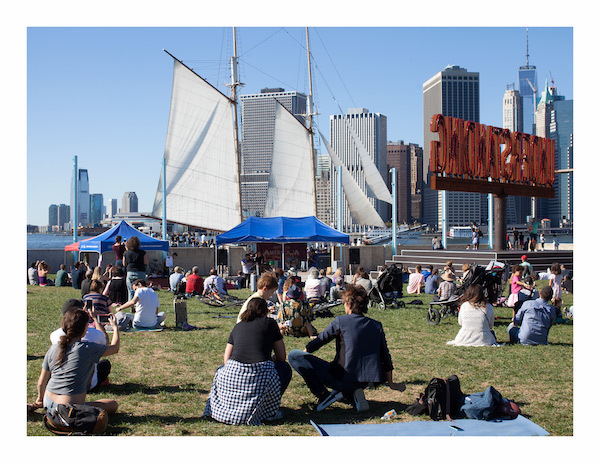 Fifty free live music shows in DUMBO and Red Hook in Brooklyn Bridge Park Pier 3, The Archway under the Manhattan Bridge, Superfine Restaurant Bar, 68 Jay St Bar, powerhouse Books, and Sunny's Bar. Jalopy Theatre Opening Night Gala, Thursday September 20, 2018 single ticketed event.